Penn State took care of business on Saturday night with a 56-44 thumping of Nebraska that was never as close as the final score may have indicated. 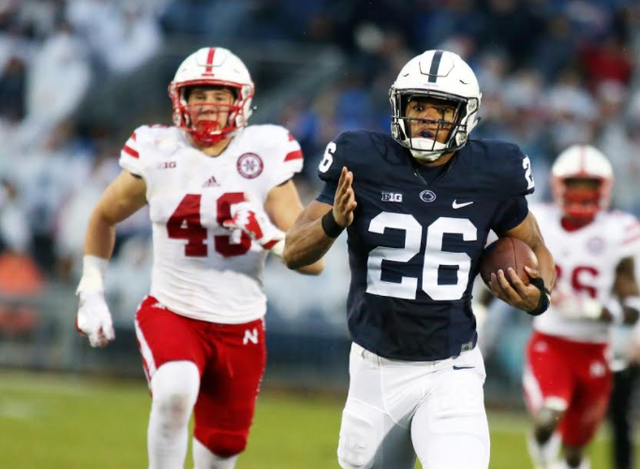 The Nittany Lions entered the final 10 minutes of the fourth quarter leading up 56-24 and the Huskers took advantage of Penn State's second and third units to make the final score more respectable. Undefeated at home for the second straight year, here are the grades for Game No.11 on the year. For the first time in a long time the Nittany Lions looked like they were having fun and it showed in the box score. The actual scoring aside it was a day where everyone contributed to the action with Saquon Barkley scoring three touchdowns and Mike Gesicki adding two more to his name. Juwan Johnson recorded his first 100+ yard receiving game of the season on five catches for 105 yards.. Trace McSorley finished the night going 24-of-36 for 325 yards and three touchdowns. By the end of the night 10 different players had caught a pass. All told Penn State raked up 609 yards of offense going 8-of-12 on third down with a balance of 267 yards on the ground and 346 through the air, padded by a Tommy Stevens appearance in the fourth quarter. At the end of the day this was one of Penn State's most complete performances of the year from the first team unit. 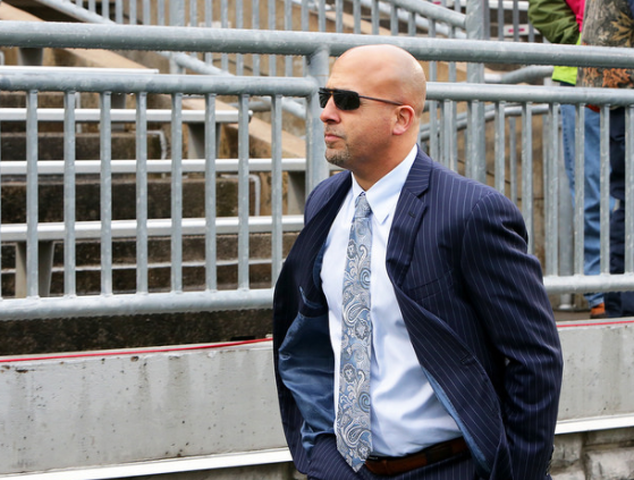 There was nothing the Nittany Lions couldn't do and little Nebraska could stop. This grade is a bit of a mixed bag. Penn State for three quarters held Nebraska to virtually no real offensive attack. By the half the Huskers had just five yards of rushing and 72 through the air. Penn State found itself well ahead and aside from two very short fields to work with, Nebraska did little in the way of mounting a comeback. But the fourth quarter will be something of an ongoing debate for the next week or so. The Nittany Lions were never in danger of blowing the lead, but units down the depth chart couldn't slow Nebraska's first team. It seems unfair to assume Penn State's second and third team defense could stop Nebraska's first team and it didn't. Even so it's hard to ignore the fact the Nittany Lions left the field having given up 44 points, even if most all of them were fairly pointless. Brandon Smith led the way with 13 tackles while Jason Cabinda added seven more to his name. There is reason to raise an eyebrow at that final quarter, but at the same time it doesn't really matter. The grade is lowered on principle, but Penn State's first unit did its job and then some. A muffed punt, a bad punt and little in the return game lowers this grade a bit. It didn't really make a difference but in theory it should have against a better team. Brandon Polk was a non factor in his new role as a returner but didn't really get many good chances. This grade is lowered because of a unexpectedly bad punt by Blake Gillikin, the fumble and the simple fact everyone has seen this group play better than it did on Saturday. Penn State dropped 56 points on Nebraska. Nobody made Beaver Stadium stand faster than Saquon Barkley. A 230-pound ball of muscle that could leap over defenders, shake past would-be tacklers and make future NFL players look like beginners.